Non-Smoker vehicle, Retired Service Loaner! PRICE TO SELL GREAT BUY WAS $71,999. CARFAX 1-Owner, ONLY 3,418 Miles! S trim. Heated Leather Seats, Sunroof, NAV, All Wheel Drive, BLACK PACKAGE , Supercharged, iPod/MP3 Input, Panoramic Roof, Power Liftgate, TECHNOLOGY PACKAGE , WHEELS: 20 5 SPLIT-SPOKE (STYLE 5036. HEAD-UP DISPLAY, FUJI WHITE, LOADSPACE PARTITION NET, CABIN AIR IONISATION, COMFORT & CONVENIENCE PACKAGE CLICK ME! KEY FEATURES INCLUDE Sunroof, Panoramic Roof, All Wheel Drive, Power Liftgate, Supercharged, iPod/MP3 Input, Remote Engine Start, Dual Zone A/C, Hands-Free Liftgate, Lane Keeping Assist, Cross-Traffic Alert, Brake Actuated Limited Slip Differential. Rear Spoiler, Keyless Entry, Remote Trunk Release, Steering Wheel Controls, Child Safety Locks. OPTION PACKAGES DRIVER ASSISTANCE PACKAGE: Adaptive Cruise Control (ACC) w/Forward Alert, advanced emergency brake assist and queue assist, Blind Spot Assist, 360 Degree Parking Aid, traffic sign recognition, adaptive speed limiter and park assist for parallel parking, perpendicular parking and parking exit, Surround Camera System, TECHNOLOGY PACKAGE: full TFT/LCD virtual instrument cluster, Radio: Meridian 825W Surround Audio System, 17 speakers, 10 capacitive touch screen, InControl Touch Pro - SSD based navigation w/60GB and single slot in dash CD/DVD player and connected navigation, 4G Wi-Fi Hotspot, 3 month complimentary data plan, COMFORT & CONVENIENCE PACKAGE: soft door close, Climate Front Seats, Heated Rear Seats Was $71,999. WHO WE ARE Land Rover Flatirons is different. We have assembled a team whose goal is to deliver the best ownership experience possible to everyone that chooses to own a Land Rover or Range Rover. Our pre-owned cars are reconditioned to a level unequalled in the market. Pricing analysis performed on 4/20/2019. Horsepower calculations based on trim engine configuration. Please confirm the accuracy of the included equipment by calling us prior to purchase. Non-Smoker vehicle, Originally bought here, Retired Service Loaner! CARFAX 1-Owner, GREAT MILES 1,945! JUST REPRICED FROM $60,059, EPA 27 MPG Hwy/22 MPG City! Nav System, Heated Leather Seats, Moonroof, Back-Up Camera, Power Liftgate, Turbo Charged Engine, Panoramic Roof, All Wheel Drive, EBONY/LIGHT OYSTER STITCH, PERFORATED GRAINED LEATHER SEAT TRIM, WHEELS: 22 15-SPOKE W/GLOSS BLACK FI. EBONY HEADLINER, NARVIK BLACK. READ MORE! KEY FEATURES INCLUDE Navigation, Sunroof, Panoramic Roof, All Wheel Drive, Power Liftgate, Back-Up Camera, Turbocharged, Premium Sound System, Satellite Radio, iPod/MP3 Input, Onboard Communications System, Remote Engine Start, Dual Zone A/C, Smart Device Integration, Lane Keeping Assist. Rear Spoiler, MP3 Player, Privacy Glass, Keyless Entry, Steering Wheel Controls. OPTION PACKAGES WHEELS: 22 15-SPOKE W/GLOSS BLACK FINISH: satin black inserts, Tires: 22 Performance, TECHNOLOGY PACKAGE: Radio: Meridian 825W Surround Sound System, 10 touchscreen, interactive driver display and CD/DVD player, Touch Pro, 4G WI-FI hotspot, Wi-Fi Hotspot, 3 month complimentary data subscription . MORE ABOUT US Land Rover Flatirons is different. We have assembled a team whose goal is to deliver the best ownership experience possible to everyone that chooses to own a Land Rover or Range Rover. Our pre-owned cars are reconditioned to a level unequalled in the market. ADDITIONAL OPTION PACKAGES Taurus Leather Sports Perforation, Rear Parking Camera, 14x14 Way Memory Sport Front Seats, Gloss Black Veneer, Rear Seat Convenience Package, Car Care Pack, Chrome Wheel Locks, Premium Interior Protection Pack, and Single-View Screen with InControl Touch Pro Horsepower calculations based on trim engine configuration. Fuel economy calculations based on original manufacturer data for trim engine configuration. Please confirm the accuracy of the included equipment by calling us prior to purchase. Non-Smoker vehicle, Originally bought here REDUCED FROM $55,999! EPA 27 MPG Hwy/22 MPG City! CARFAX 1-Owner, ONLY 1,843 Miles! Navigation, Heated Leather Seats, Sunroof, Turbo Charged, Power Liftgate, Back-Up Camera, Panoramic Roof, All Wheel Drive, SIRIUSXM SATELLITE RADIO , WHEELS: 20 5 SPLIT-SPOKE, INDUS SILVER METALLIC, GLOSS BLACK ROOF RAILS, VISION PACKAGE, EBONY/TAN STITCH, PERFORATED GRAINED. CLICK ME! KEY FEATURES INCLUDE Navigation, Sunroof, Panoramic Roof, All Wheel Drive, Power Liftgate, Back-Up Camera, Turbocharged, Premium Sound System, iPod/MP3 Input, Onboard Communications System, Remote Engine Start, Dual Zone A/C, Brake Actuated Limited Slip Differential, Smart Device Integration. Rear Spoiler, MP3 Player, Keyless Entry, Privacy Glass, Steering Wheel Controls. OPTION PACKAGES VISION PACKAGE: Blind Spot Monitor w/Reverse Traffic Detection, emergency braking and lane departure warning, Adaptive LED Headlights w/LED Signature DRL, auto high beam assist, COMFORT & CONVENIENCE PACKAGE: electrically reclining rear seats and rear seat remote release levers, Perforated Grained Leather Seat Trim, Powered Gesture Tailgate, Cooled Front Seats & Heated Rear Seats Reduced from $55,999. MORE ABOUT US Land Rover Flatirons is different. We have assembled a team whose goal is to deliver the best ownership experience possible to everyone that chooses to own a Land Rover or Range Rover. Our pre-owned cars are reconditioned to a level unequalled in the market. ADDITIONAL OPTION PACKAGES Chrome Side Window Surrounds, Lumbar Seat 4-Way, Premium Interior Protection Package, Chrome Wheel Locks, SD Navigation, Car Care Kit, Rear Seat Convenience Package, Gloss Black Veneer, and 10x10 Way Front Seats with Memory Horsepower calculations based on trim engine configuration. Fuel economy calculations based on original manufacturer data for trim engine configuration. Please confirm the accuracy of the included equipment by calling us prior to purchase. Non-Smoker vehicle CARFAX 1-Owner, Excellent Condition, GREAT MILES 51,228! PRICE DROP FROM $43,999. Moonroof, Nav System, Heated Leather Seats, Third Row Seat, Premium Sound System, Running Boards, Supercharged, Back-Up Camera, 4x4, CLIMATE COMFORT PACKAGE , WHEELS: 19 7-SPOKE ALLOY, SIRIUS SATELLITE & HD RADIO, ALMOND W/ARABICA, LEATHER SEAT TRIM, FUJI WHITE, HSE PACKAGE CLICK ME! KEY FEATURES INCLUDE 4x4, Back-Up Camera, Running Boards, Supercharged, Premium Sound System, iPod/MP3 Input, Bluetooth, Dual Moonroof, Dual Zone A/C Privacy Glass, Child Safety Locks, Steering Wheel Controls, Heated Mirrors, Electronic Stability Control. OPTION PACKAGES HSE PACKAGE: Powerfold Mirrors, HSE Exterior Badge, Parking Aid, front park distance control, Passive Keyless Entry, Third-Row Map Lights, Third-Row Side-Curtain Airbag SRS, Third-Row Fold-Flat Seating Forward facing, Rear Luggage Net, Rear Climate Control, 2nd-row A/C and heating controls regulating airflow to the 2nd- and 3rd-row seats, 2 vents at 2nd-row headliner, 2 vents at 3rd-row C-pillar and 1 outlet at 3rd-row lower level, Second-Row Fold-Flat Seating 35/30/35, HDD Navigation System w/Traffic Alert, on/off-road and Say What You See voice control, Front Xenon Headlamps w/LED Signature Lighting, CLIMATE COMFORT PACKAGE: heated front windshield and heated windshield washer jets, Heated Steering Wheel, Heated Front & Second-Row Seats, SIRIUS SATELLITE & HD RADIO: 3 month Sirius trial subscription, WHEELS: 19 7-SPOKE ALLOY. Land Rover HSE with Fuji White exterior and Almond w/Arabica interior features a V6 Cylinder Engine with 340 HP at 6500 RPM*. . Edmunds.com's review says For most EXCELLENT VALUE Was $43,999. Pricing analysis performed on 4/22/2019. Horsepower calculations based on trim engine configuration. Please confirm the accuracy of the included equipment by calling us prior to purchase. Non-Smoker vehicle, Originally bought here GREAT DEAL JUST REPRICED FROM $70,214, EPA 26 MPG Hwy/21 MPG City! CARFAX 1-Owner, LOW MILES - 2,160! HSE trim. Third Row Seat, Heated Leather Seats, Nav System, Moonroof, LOIRE BLUE METALLIC , DRIVE PACKAGE , HEATED DR/PASS 16 WAY FR SEATS W/MEMORY - STYLE 4, Turbo Charged Engine, 4x4, Hitch, Aluminum Wheels, WHEELS: 20 5 SPLIT-SPOKE, HEATED DR/PASS 16 WAY FR SEATS W/MEMO. SEE MORE! KEY FEATURES INCLUDE Leather Seats, Navigation, 4x4, Power Liftgate, Rear Air, Running Boards, Turbocharged, Diesel, Premium Sound System, Satellite Radio, iPod/MP3 Input, Onboard Communications System, Dual Moonroof, Remote Engine Start, Dual Zone A/C. Rear Spoiler, Remote Trunk Release, Privacy Glass, Keyless Entry, Steering Wheel Controls. OPTION PACKAGES 7 SEAT PACKAGE: 7 seats, Electronic Air Suspension, GVWR: 6,989 lbs, Twin-Speed Transfer Case, COLD CLIMATE PACKAGE: Heated Washer Jets, Heated Steering Wheel, Heated Front & Rear Seats, HEATED DR/PASS 16 WAY FR SEATS W/MEMORY - STYLE 4: electric front seat adjust w/drivers seat memory, 14 way powered: 2 x fore/aft (driver and passenger), 2 x recline (driver and passenger), 2 x height (driver and passenger), 2 x cushion tilt (driver and passenger), 2 x bolster (driver and passenger) and 4 x lumbar (driver and passenger), REMOTE INTELLIGENT SEAT FOLD PACKAGE: Intelligent Seat Fold, 60:40 load through rear seats w/manual slide and power recline, Power 3rd Row Seats ADDITIONAL OPTION PACKAGES Meridian Sound System, 4-Zone Climate Control, Black Roof Rails, Interior Protection & Storage Pack, Natural Shadow Oak Veneer, Body Colored Roof, Front Fog Lamps, and 2X 12V Power Sockets Pricing analysis performed on 4/20/2019. Horsepower calculations based on trim engine configuration. Fuel economy calculations based on original manufacturer data for trim engine configuration. Please confirm the accuracy of the included equipment by calling us prior to purchase. Non-Smoker vehicle, Originally bought here, PLATINUM BRA, WINDOW TINT CARFAX 1-Owner, GREAT MILES 1,882! WAS $75,381, FUEL EFFICIENT 26 MPG Hwy/21 MPG City! Third Row Seat, Heated Leather Seats, Nav System, Moonroof, CORRIS GRAY METALLIC, DRIVE PACKAGE, Aluminum Wheels, Rear Air, Running Boards, Power Liftgate, Turbo Charged Engine, 4x4, FRONT CENTER CONSOLE COOLER COMPARTME. HEATED WINDSHIELD, VISION ASSIST PACKAGE, ACTIVITY KEY CLICK ME! KEY FEATURES INCLUDE Leather Seats, Third Row Seat, Navigation, Turbocharged, Diesel, Premium Sound System, Satellite Radio, iPod/MP3 Input, Onboard Communications System, Dual Moonroof, Remote Engine Start Rear Spoiler, MP3 Player, Privacy Glass, Remote Trunk Release, Keyless Entry. OPTION PACKAGES 7 SEAT LUXURY CLIMATE COMFORT PACKAGE: Climate Front & Rear Seats w/Heated 3rd Row Seats, 4-Zone Climate Control, 16 Way Front Seats w/Massage & Memory - Style 5, electric front seat adjust w/drivers seat memory, 14 way powered: 2 x fore/aft (driver and passenger), 2 x recline (driver and passenger), 2 x height (driver and passenger), 2 x cushion tilt (driver and passenger) Was $75,381. 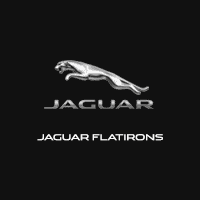 WHY BUY FROM US Land Rover Flatirons is different. We have assembled a team whose goal is to deliver the best ownership experience possible to everyone that chooses to own a Land Rover or Range Rover. Our pre-owned cars are reconditioned to a level unequalled in the market. ADDITIONAL OPTION PACKAGES Rear Seat Convenience Package, Car Care Kit, Wheel Protection Pack with Chrome Locks, Premium Interior Protection & Storage Package, Natural shadow Oak Veneer, Body-Colored Painted Roof, Extended Leather Palette 1, and 2x USB Power Socket in the 2nd Row Horsepower calculations based on trim engine configuration. Fuel economy calculations based on original manufacturer data for trim engine configuration. Please confirm the accuracy of the included equipment by calling us prior to purchase. Non-Smoker vehicle, Originally bought here, Retired Service Loaner! HSE trim. PRICE DROP FROM $52,976, FUEL EFFICIENT 29 MPG Hwy/22 MPG City! Land Rover Certified, CARFAX 1-Owner, ONLY 5,718 Miles! Moonroof, Heated Leather Seats, Nav System, Aluminum Wheels, Panoramic Roof, Power Liftgate, 4x4, Turbo Charged Engine, COLD CLIMATE CONVENIENCE PACKAGE , WHEELS: 19 10-SPOKE W/SPARKLE FINISH. SIRIUSXM SATELLITE RADIO & HD RADIO AND MORE! KEY FEATURES INCLUDE Navigation, Sunroof, Panoramic Roof, 4x4, Power Liftgate, Heated Driver Seat, Back-Up Camera, Turbocharged, Premium Sound System, iPod/MP3 Input, Onboard Communications System, Remote Engine Start, Dual Zone A/C, Blind Spot Monitor, Hands-Free Liftgate Rear Spoiler, MP3 Player, Privacy Glass, Keyless Entry, Remote Trunk Release. OPTION PACKAGES SIRIUSXM SATELLITE RADIO & HD RADIO, FIRENZE RED METALLIC, COLD CLIMATE CONVENIENCE PACKAGE: Heated Steering Wheel, Heated Windshield & Washer Jets, EBONY/EBONY, OXFORD LEATHER W/PERFORATED MID-SECTION SEAT TRIM, WHEELS: 19 10-SPOKE W/SPARKLE FINISH: Style 103 (STD). . EXPERTS ARE SAYING Edmunds.com's review says The steering is weighted nicely AFFORDABLE TO OWN Reduced from $52,976. SHOP WITH CONFIDENCE 5-year/100,000 Mile Limited Warranty, Complete 165-point inspection, 24/7 Roadside Assistance ADDITIONAL OPTION PACKAGES Meridian Sound System, Ivory Headlining, Heated Front Seats, Windsor Leather, Powered Seats with 12x12 Memory, Headlamp Power Washers, Xenon Headlamps + LED Signature, Dark Engine Turned Finisher, and Interior Protection & Storage Package Horsepower calculations based on trim engine configuration. Fuel economy calculations based on original manufacturer data for trim engine configuration. Please confirm the accuracy of the included equipment by calling us prior to purchase. Non-Smoker vehicle, Retired Service Loaner! CARFAX 1-Owner, LOW MILES - 1,587! JUST REPRICED FROM $70,718, FUEL EFFICIENT 24 MPG Hwy/18 MPG City! Heated Leather Seats, Moonroof, Nav System, HEATED FRONT & REAR SEATS W/DRIVER ME. ACORN W/LIGHT OYSTER, PERFORATED GRAI. ACORN W/LIGHT OYSTER, PERFORATED GRAINED LEATHER SEAT TRIM, Power Liftgate, Back-Up Camera, Panoramic Roof, Aluminum Wheels, 4x4, DRIVE PACKAGE READ MORE! KEY FEATURES INCLUDE Sunroof, Supercharged, iPod/MP3 Input, Onboard Communications System, Remote Engine Start, Dual Zone A/C, Brake Actuated Limited Slip Differential, Hands-Free Liftgate Rear Spoiler, Privacy Glass, Remote Trunk Release, Keyless Entry, Child Safety Locks. OPTION PACKAGES HEATED FRONT & REAR SEATS W/DRIVER MEMORY, RADIO: MERIDIAN SURROUND SOUND SYSTEM (825W): 17 speakers including subwoofer, SSD navigation system, InControl Apps, InControl Pro Services for warranty period, Touch Pro Duo, Bluetooth connectivity, voice control, 2 USB ports in 1st row and 12V power socket in 2nd row and trunk, SIRIUSXM SATELLITE RADIO & HD RADIO, DRIVE PACKAGE: Blind Spot Monitor w/Closing Vehicle Sensing, Driver Condition Monitor, Traffic Sign Recognition & Adaptive Speed Limiter, 12.3 DIGITAL TFT INTERACTIVE DRIVER DISPLAY, POWER ADJUSTABLE STEERING COLUMN, BLACK ROOF RAILS, HEATED WINDSHIELD, HEATED STEERING WHEEL, POWER PRO: 2 additional USB ports in the 2nd row and 1 additional 12V in the front row, ACORN W/LIGHT OYSTER, PERFORATED GRAINED LEATHER SEAT TRIM ADDITIONAL OPTION PACKAGES Wheel Protection Pack with Chrome Locks, Premium Interior Protection Pack, Rear Seat Convenience Pack, Car Care Kit, S Badge, and Light Oyster Headliner Horsepower calculations based on trim engine configuration. Fuel economy calculations based on original manufacturer data for trim engine configuration. Please confirm the accuracy of the included equipment by calling us prior to purchase.